Episode 3×09 “Twenty Sided Die” — When a Dungeon Master is killed, Liv (Rose McIver) and Clive (Malcolm Goodwin) discover he was up to more than just playing in his mother’s basement. Meanwhile, Blaine’s (David Anders) experiment does not go as planned. Lastly, Ravi (Rahul Kohli) finds stumbles across some new information that could prove deadly. Robert Buckley and Aly Michalka also star. Jason Bloom directed the episode written by Kit Boss. Air Date: Tuesday May 30 (9:00-10:00 p.m. ET) on the CW. 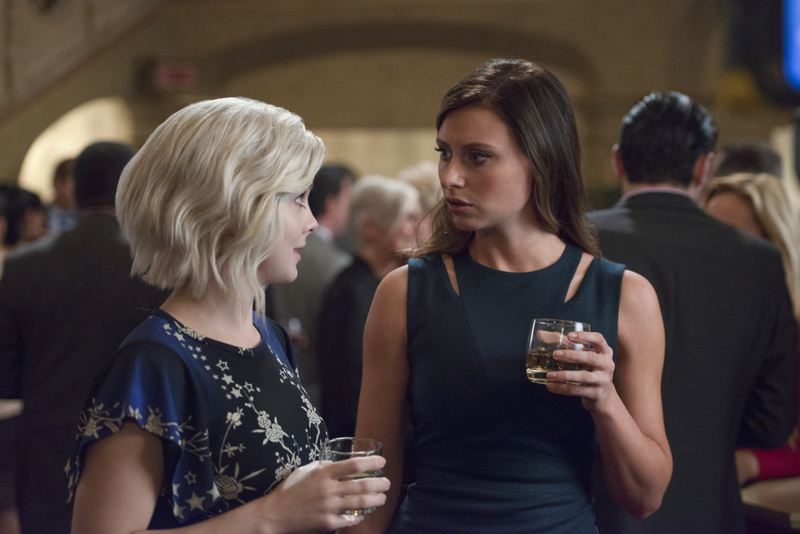 iZombie -- "Twenty-Sided, Die" -- Image Number: ZMB309b_0105.jpg -- Pictured (L-R): Rose McIver as Liv and Aly Michalka as Peyton -- Photo: Diyah Pera/The CW -- ÃÂ© The CW Network, LLC. All rights reserved.